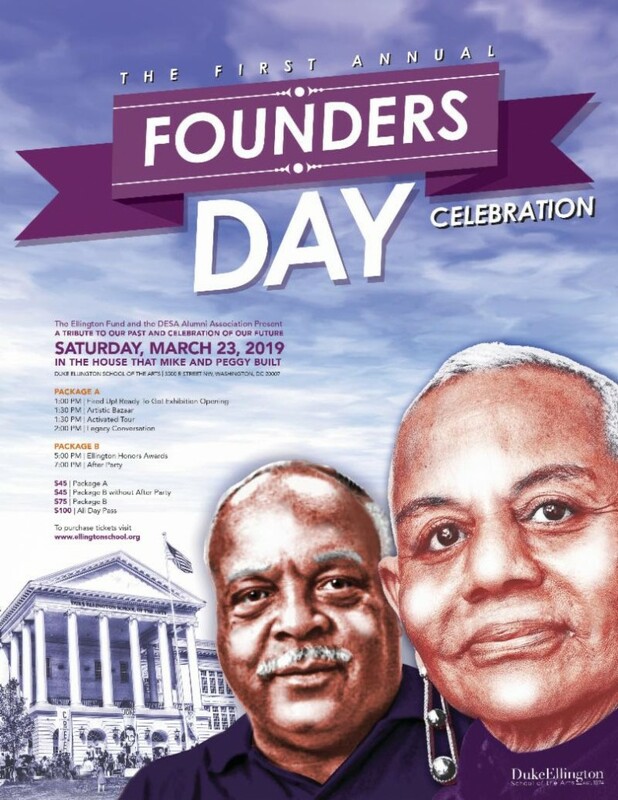 Join us for the first annual Founders Day Celebration on Saturday, March 23rd! Duke Ellington School of the Arts would not exist without the innovative vision of our Co-Founders, Peggy Cooper Cafritz and Mike Malone, who believed that artistically-minded D.C. students—particularly those without the means or connections to pursue these interests on their own—needed a place to learn and be immersed in the arts as a part of their education. This event is a tribute to these incredible visionaries, their legacy, as well as a celebration of the future of Duke Ellington School of the Arts. Click here to apply to be a Founders Day Artistic Bazaar vendor.